DOTr is making sure the market can handle the mass introduction of green vehicles. Internal combustion alternatives are gradually entering the Philippines, which is already a known fact. In fact, the country now has a handful of electric, hybrid, and alternative fuel vehicles for car buyers to choose from. With electrification, hybridization, and rise of alternative fuel cars penetrating the industry, the Department of Transportation puts extra efforts in grooming the market – especially for the mass introduction of EVs in the coming years. One of DOTr’s latest efforts was a workshop reviewing United Nations Development Programme’s (UNDP) partly-funded Low Carbon Urban Transport System Project. 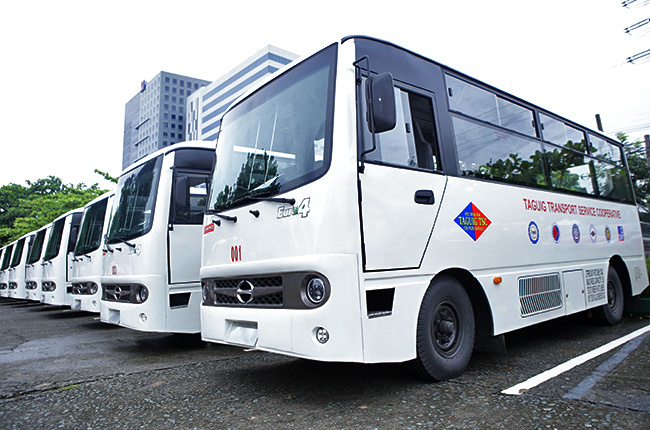 This project seeks to pave the way toward the commercialization of the low carbon urban transportation in the Philippines. In addition, it is also aimed to help improve the utilization of domestic renewable energy, which is a key to lowering the local carbon footprint. According to UNDP, the said project will promote the “development, transfer, dissemination, and diffusion of environmentally-sound technologies.” With these goals in mind, the workshop was able see the need of improvement in the ten areas, namely scientific literature, research and data, information and communications strategy, inter-agency coordination within the government, among others. Apart from those, we can also expect that this will further strengthen the government’s PUV modernization program. While it may appear like we’re playing catch up with the rest of the world, other countries have it already sorted out. In fact, plans and concepts bloom here and there, with dedicated auto shows for technologies and concept cars. It might feel like we’re far behind compared to other countries but rest assured that we’re getting there. With efforts from the government like this one from DOTr, it’s likely that advancements in the modern technology is within grasp.